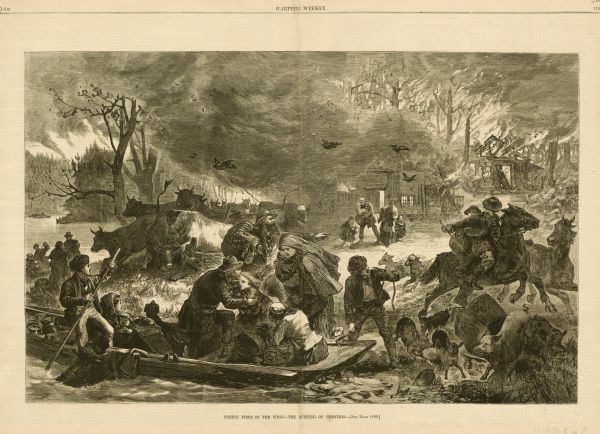 Engraved view of Peshtigo Fire showing people trying to escape the flames by boat and on horseback. A team of cattle also seek refuge and several birds take flight to escape the fire. Originally appeared in Harpers Weekly, November 25, 1871.